Stigma is a primary concern for people living with human immunodeficiency virus (HIV)/AIDS (PLWHA), and has great impact on their and their family members’ health. 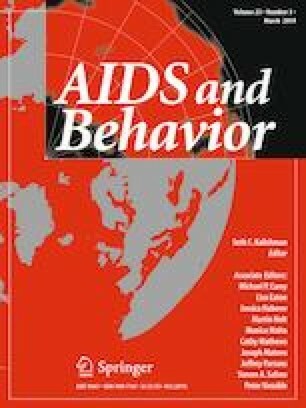 While previous reviews have largely focused on the public stigma, this systematic review aims to evaluate the impact of HIV/acquired immunodeficiency syndrome (AIDS)-related self-stigma reduction interventions among PLWHA and their families. A literature search using eight databases found 23 studies meeting the inclusion criteria. Five types of intervention approaches were identified: (1) psycho-educational intervention, (2) supportive intervention for treatment adherence (antiretroviral therapy), (3) psychotherapy intervention, (4) narrative intervention, and (5) community participation intervention. Overall, the reviewed articles suggested a general trend of promising effectiveness of these interventions for PLWHA and their family members. Psycho-educational interventions were the main approach. The results highlighted the need for more interventions targeting family members of PLWHA, and mixed-methods intervention studies. The online version of this article ( https://doi.org/10.1007/s10461-018-2304-1) contains supplementary material, which is available to authorized users. Fan X, Konold T. Statistical significance versus effect size. 2010. https://doi.org/10.1016/B978-0-08-044894-7.01368-3.